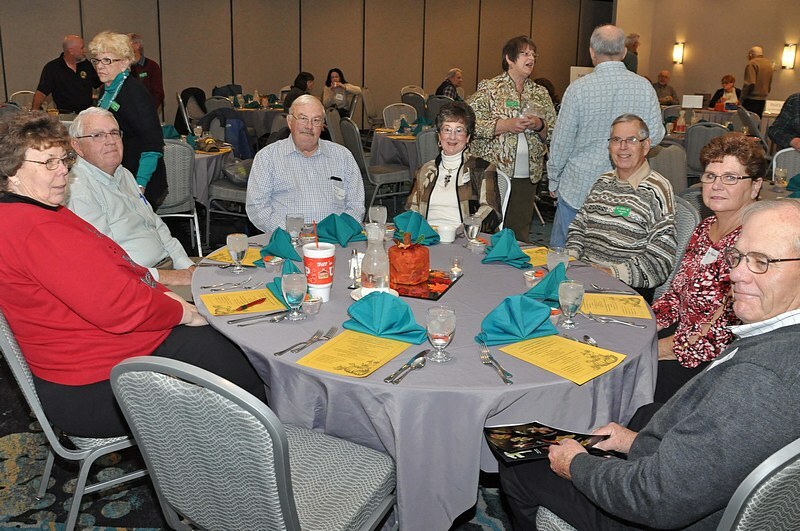 Last Saturday's Banquet and Photo Contest were just excellent. 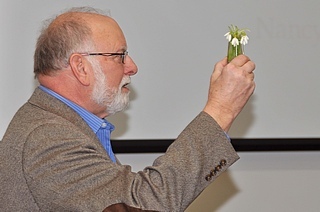 Lots of fun, an informative and hilarious talk by invited speaker Scott Elliott, delicious food, and spending precious time with daylily club buddies! Many people contributed their time, energy, and gifts to make this a very memorable occasion, including Nancy Rash and Lyle Moen, Sherry and Lynn Moffit, Keith and Sally Riewerts, Mary Jo Duffy, Heather Harroun, Jill Gardner and her mother, Nancy Carlisle, Sue and Dave Kramer, Joyce and Steve Parsons, Dave and Carole Appelquist, Bob and Barb Papenhausen, Bob Towler, Don Lovell, and Susie Poulton. Many apologies if I've left somebody off the list. 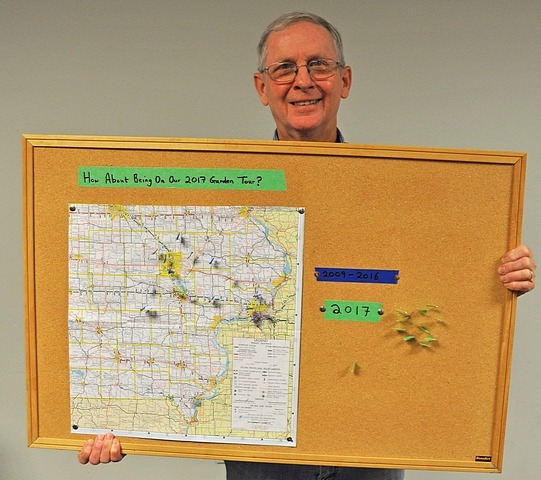 To access a PowerPoint presentation from Mary Jo that indicates who were the photo contest winners this year, please click here. The meeting minutes are available here. For additional photos taken by Lyle, please click here. Looks like a lot of smiles here! Thanks for the photos, Lyle! 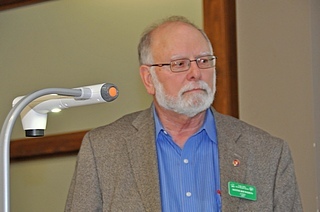 All of the Powerpoint presentations given by the speakers at this year's Hybridizers' Roundup are now available and can be accessed by clicking on individual names below. Many thanks to everyone who shared their work with us! It is with great sadness that we learned that Sylvia Clark-Hansen passed away on Thursday, October 19, 2017, at the University of Iowa Hospitals and Clinics in Iowa City at the age of 19. Please keep the family of Colleen, John, and Catherine in your thoughts and prayers. You may access Sylvia's obituary here. 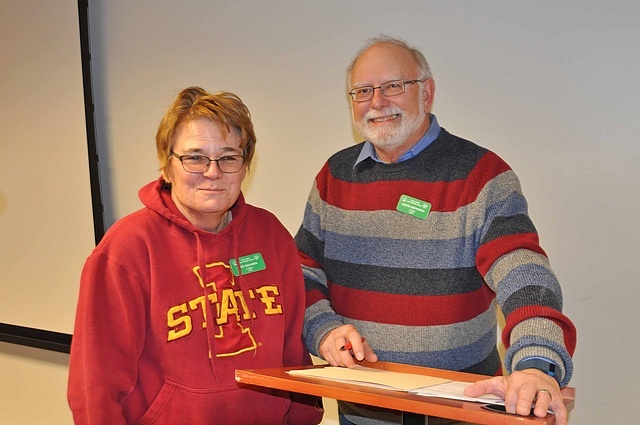 This year's Roundup took place on Saturday, October 14th, at the Coralville Public Library with about 35-40 members in attendance. 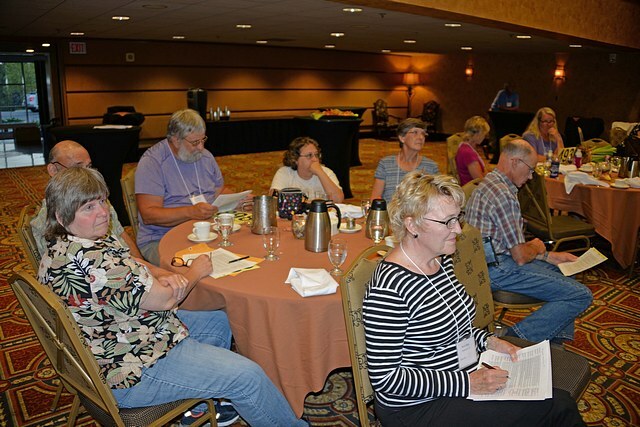 There were seven speakers: Barb Papenhausen, Sue Kramer, Jackie Westhoff, Gerald Hobbs, Brian Thompson, Larry Rettig, and Jonathan Poulton. We hope to have their presentations available here in the next few days. Watch this space! 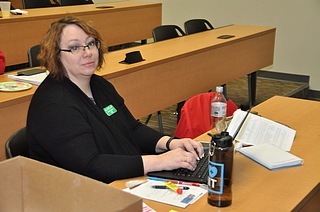 For more photos take by Lyle at the meeting, please click here. 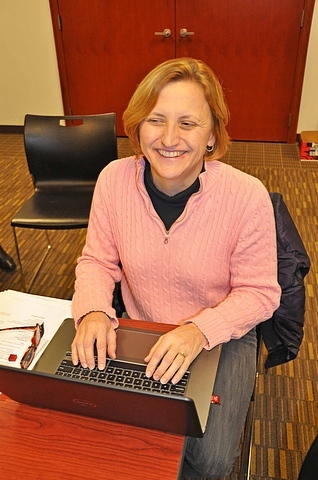 On behalf of Newsletter Editor Nancy Carlisle, here is the October CVIDS Newsletter. Enjoy! 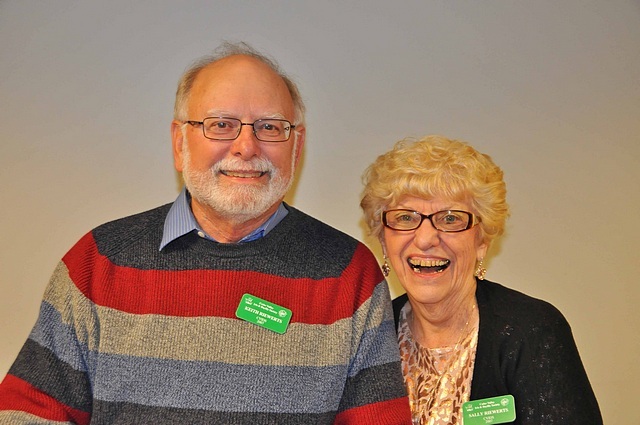 Congratulations to CVIDS club members Brian and Mary Thompson, who celebrated their 50th wedding anniversary on Sept. 9th. 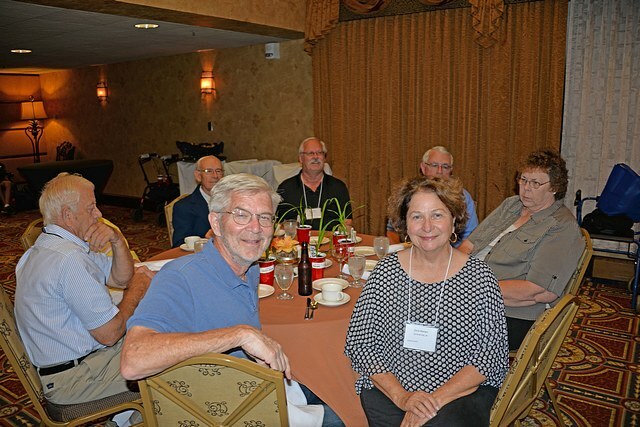 The 2017 AHS Region One Summer Meeting in Minnesota was a very memorable and well-organized get-together for daylily lovers. 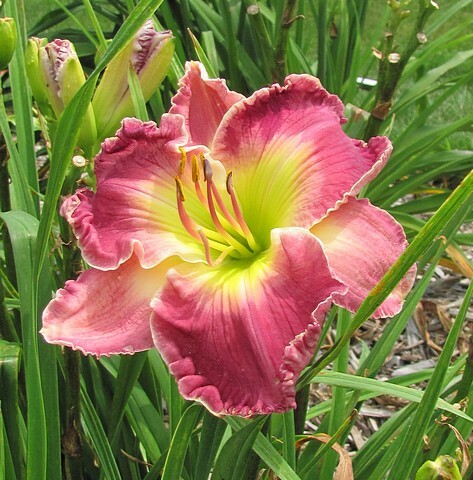 Five beautiful gardens with daylilies in full bloom, excellent weather, visits with longtime friends from all over the Region, making new friends, two auctions, delicious meals, all of these made for a great time. Over 125 persons took part, including 18 CVIDS members. Here are a few photos kindly provided by Lyle. Donna Joanne Denly died July 25, 2017, at the University of Iowa Hospital in Iowa City. She was born February 28, 1945, in rural Madison County to Don and Vilna (Tuttle) Kennedy. 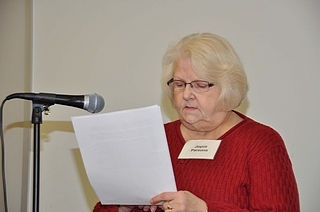 She graduated from Interstate 35 school district in 1963. She was united in marriage to John David Denly in 1963; they later divorced. She was the mother of four children and grandmother to six grandchildren. Family, Faith and Flowers were the most important things in Donna’s life. 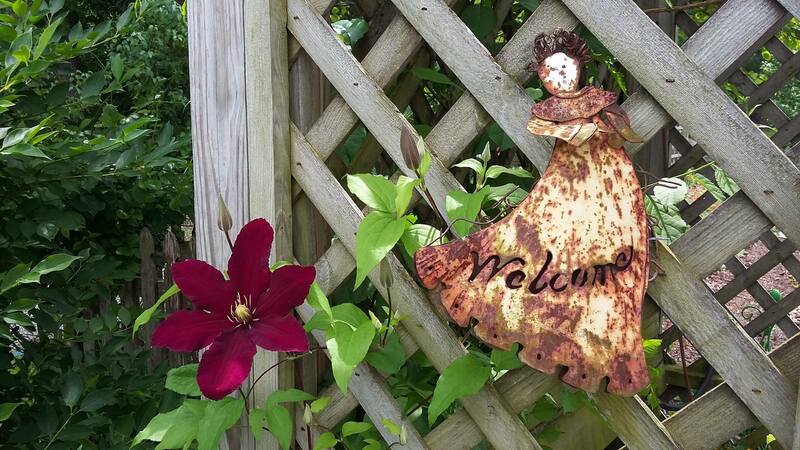 She could be found in her yard, garden or beautiful flower beds or working on her next quilt project. Donna took great joy in watching her children and grandchildren partake in their many activities. Donna was a 25 year survivor of Breast Cancer. 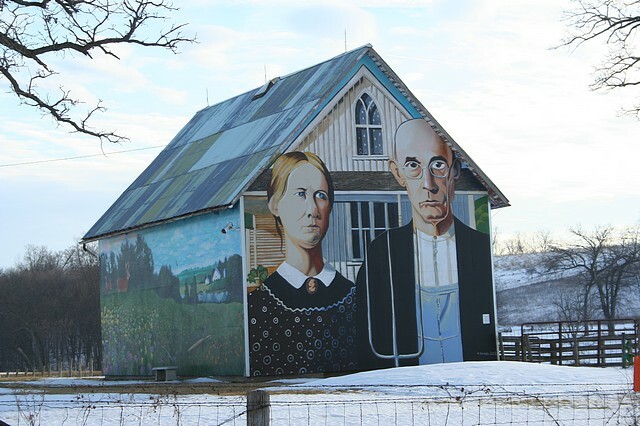 She was a devoted member of the Prairie View United Methodist Church of rural Ollie. 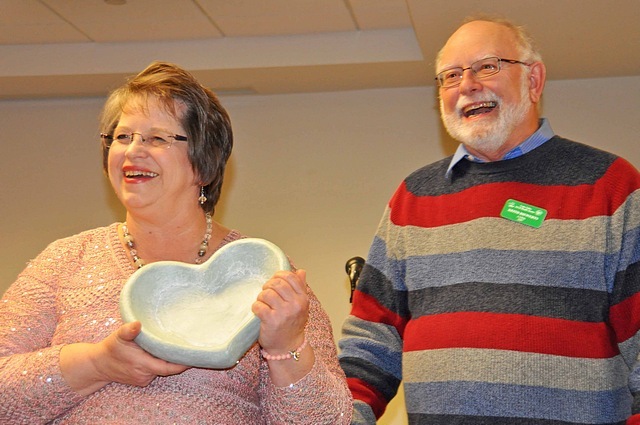 Donna donated her time and many efforts to numerous organizations, activities, church groups, flower clubs, card groups (Bridge and Pegs & Jokers) and many others that are too numerous to mention. She was preceded in death by her father, Don; a great nephew, JD Marr; mother-in-law, Hilda (Jim) Nicholson. 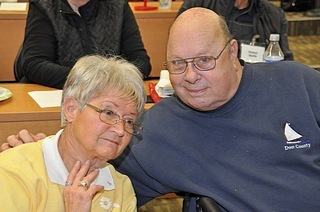 She is survived by her children, Deb Horras and husband Brian of rural Ollie; Diana Greeson and husband Ron of Prole; Denise Conrad and husband Ed of Sigourney; Dave Denly and wife Sara of Omaha, Nebraska; grandchildren, Amy and Zach Mosbey, Eddie Conrad, Jessica Horras, Mac Conrad, Ben Denly, Abbey Denly. Special friend to the family, Nazareth Rambo; Mother, Vilna Kennedy of New Virginia; siblings, Marguerite (Herb) Rockey of Kennewick, Washington; Gordon (Sandy) Kennedy of Bedford; Roger (Ginny) Kennedy of Emporia, Kansas; Phyllis (Jim) O’Hair of Van Wert; Karen (Jerry) Cooley of New Virginia; Bonnie (Don) Simmerman of Truro; Ancel (Cindy) Kennedy of Truro; Leroy (Bev) Kennedy of Lamoni; Jim (Cindy) Kennedy of Washington. A memorial service was held on Saturday, July 29, at Prairie View Methodist Church, near Ollie, Iowa, with visitation on the previous day. Memorials should be made to Prairie View United Methodist Church or Spina Bifida Association of Iowa. Arrangements by the Holm Funeral Home, Sigourney. 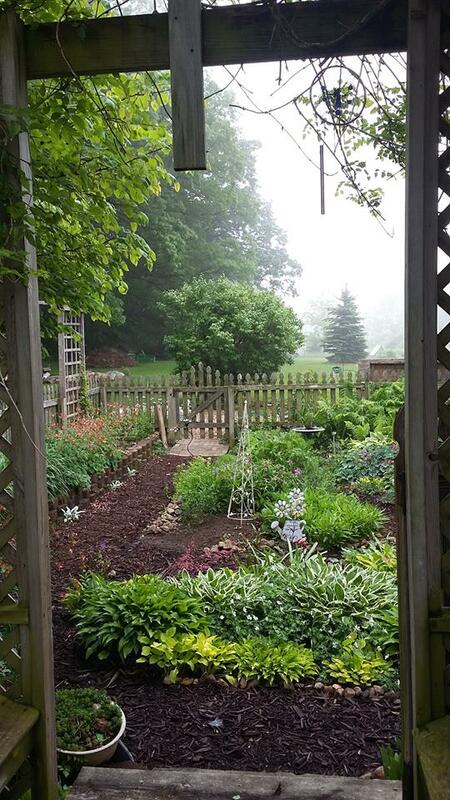 As a teacher, I would grade our July 8, CVIDS Garden Tour an A+! Between the wonderful weather and the beautiful gardens, all the tests were passed with flying colors. 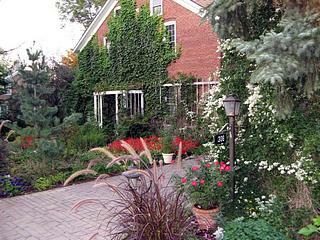 Mary Jo and Joe Duffy’s creative and professional landscaping efforts were lovely as well. The beautiful stonework makes my back hurt. 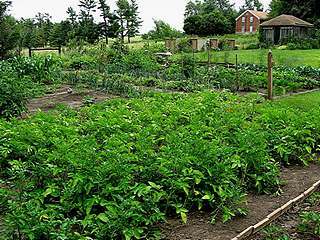 Joe’s source of mulch and his raised bed vegetable garden makes me envious. 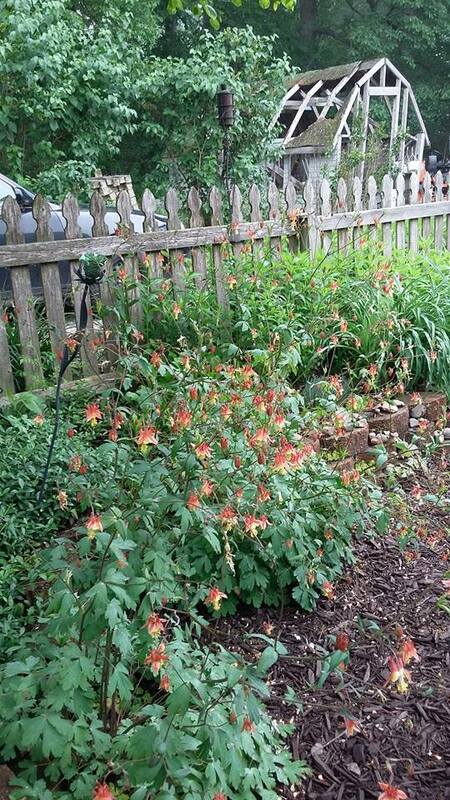 Jimmy Seaman’s garden, with the stone and Purington paver brickwork patio and companion plants displayed artistic creativity in every corner of his garden. His three Forest Pansy Redbud trees were of special interest. Their purple/red leaves are so very attractive. 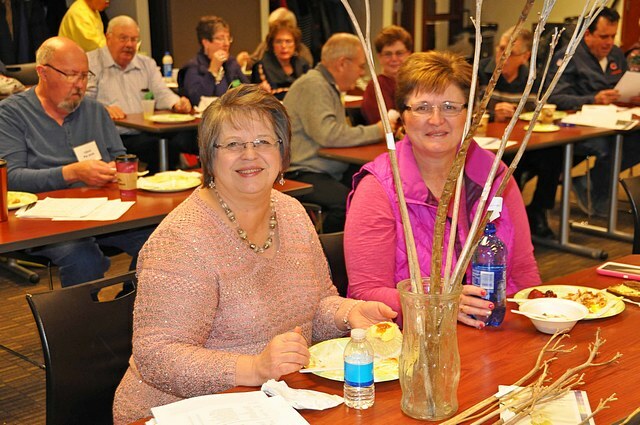 Our lunch at the Coralville Public Library reminded me of a threshers’ dinner as nearly 60 of us had lunch together. 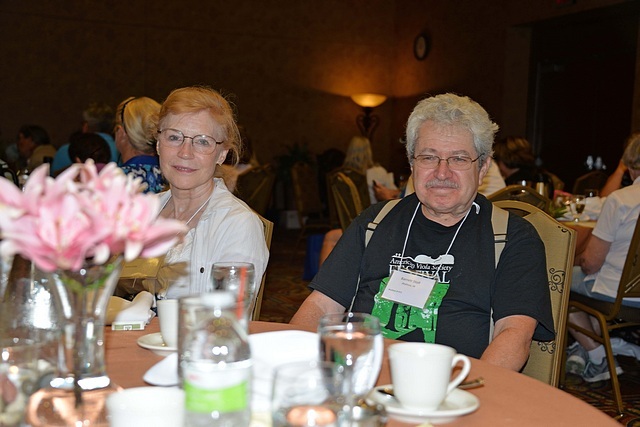 Jonathan, Susie and Mary Jo did a superb job of organizing our repast. Then it was on to Conroy and Joyce and Steve Parson’s garden at about 1:30 p.m. Health issues (we all have a few) kept Joyce from some of the finishing touches on their yard, but there was no need to feel bad, as her garden was exquisite. 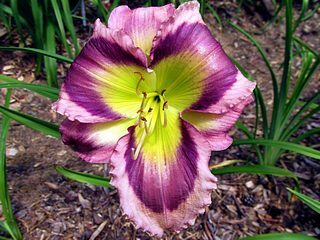 I was especially interested to see H. Bold Stripe, Gerald Hobbs very first introduction from 1986, in the Parson’s garden. There should be a picture of that on the CVIDS web site (webmaster's note). 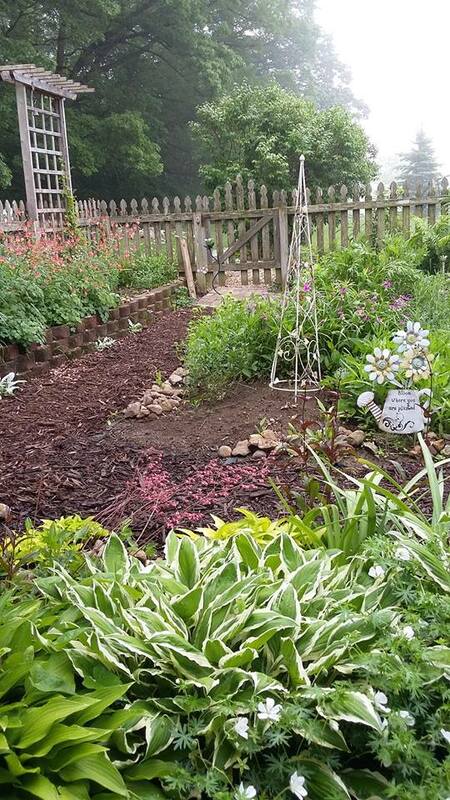 Our final destination for the 2017 tour was to the historic Cottage-in-the-Meadow Gardens of Larry and Wilma Rettig in South Amana. His most-interesting narrated tour highlighted the family history, teaching time in the South, his extensive interest and knowledge in plants of all types and his return to the Amana home of Wilma’s childhood, where his love of history and horticulture are plain to see. 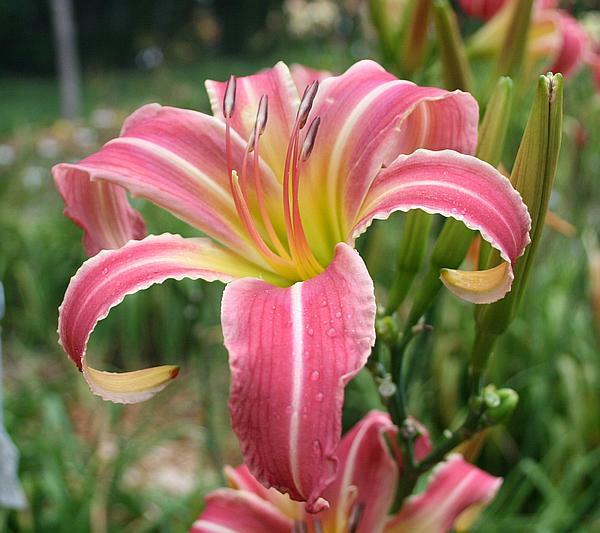 Daylilies make up only one facet of our complex lives and our visit to the Rettig’s historical home clearly demonstrated that. 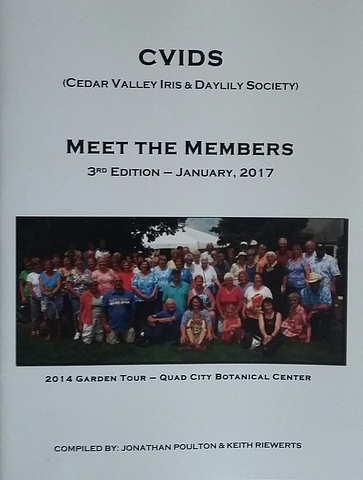 So we (CVIDS) did indeed get a superior grade on our 2017 CVIDS Garden Tour. An A+ for the gardens, an A+ for effort, an A+ for participation and an A+ for the weather. Congratulations to us all! I also want to congratulate Jonathan Poulton for his National AHS Best Scientific Newsletter Award for his scientific article "Genetically Engineering Those Blues? ", which was published in The Daylily Pioneer, Fall 2016, pp. 8-12. This is Jonathan’s second such award. Well done, Jonathan! Commendation too, goes to Nan Ripley, who received the AHS Regional Service Award for her contributions to Region One. 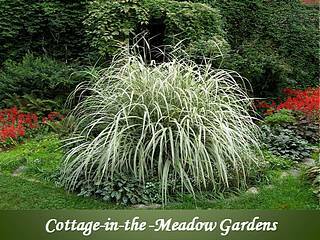 Photos of Larry and Wilma Rettig’s Cottage-in-the-Meadow Gardens listed in the Archives of American Gardens of the Smithsonian Institute in Washington, D.C..
To visit the Cottage-in-the-Meadow Gardens website, click here. 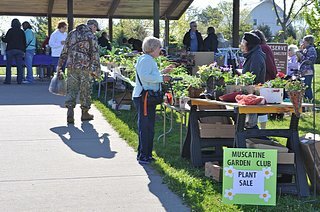 Last Saturday’s Spring Plant Sale at the Muscatine Environmental Learning Center, which we shared with the Muscatine Master Gardeners and the Muscatine Garden Club, was a great success for many reasons. First, Discovery Park Shelter #2 was a much better place to hold the sale than the shelter that we’ve used in previous years. 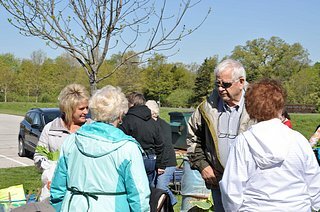 Second, there were lots of interested buyers, so many so that few plants were left unsold by noon. 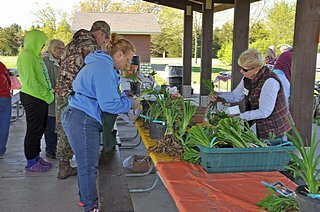 Third, an estimated 30-35 CVIDS members brought super plants for sale, and everyone pitched in with the chores, making it easy. Fourth, CVIDS members had an excellent opportunity to chat with the avid gardeners in the MMG and MGC. Last but not least, the weather committee did a pretty fine job. 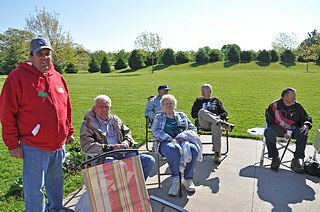 We enjoyed lots of sunshine and warmth, even though the breeze was at times a little cool for some of us. Many thanks to all of you who took part in the Sale and to Lyle for the photos shown here. 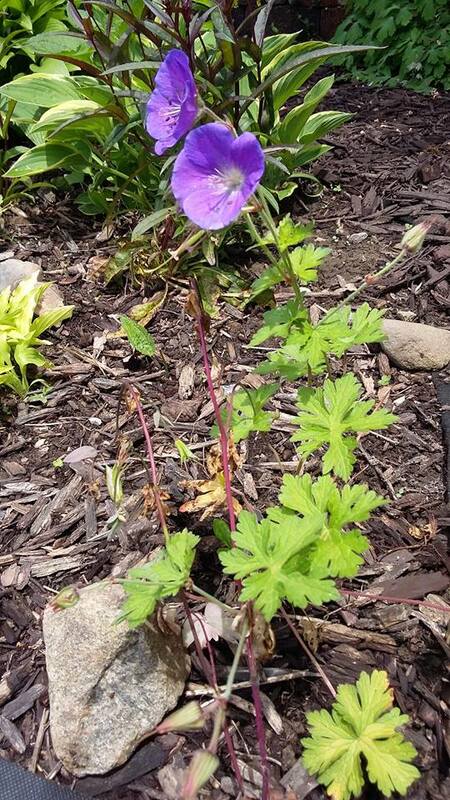 A special “Thank You” goes to Heather Harroun, who worked with Deb Bentley, CVIDS member and president of the Muscatine Garden Club, and with the president of the Muscatine Master Gardeners Club to bring about this exciting new event. The unsold plants were taken to Iowa City and donated to Altrusa International of Iowa City, whose plant sale is next weekend. 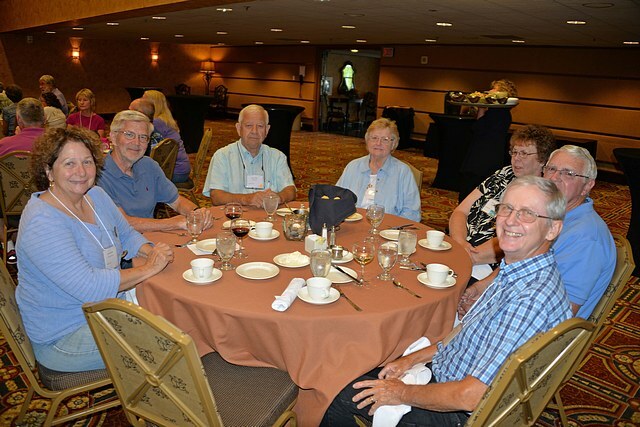 Altrusa International of Iowa City is a 100-year-old chapter of Altrusa International. Their mission is to improve the lives of women and children through advocacy and support of literacy. They support a variety of community endeavors and provide scholarships to female high school graduates pursuing a college education. 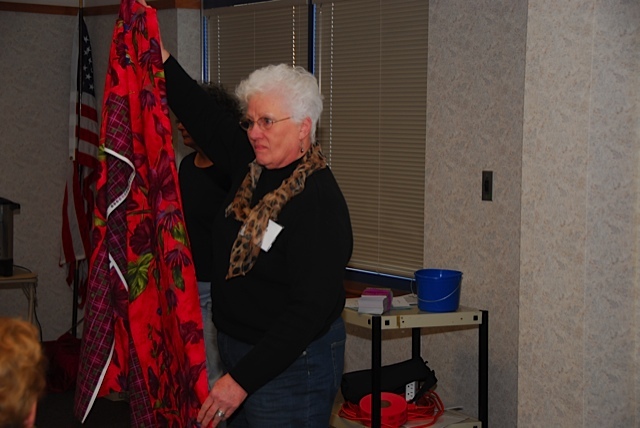 Other projects that they have supported are Habitat for Humanity, Domestic Violence Intervention Program, Iowa City Public Library Foundation, Little Free Libraries, support of students gaining their GED through Kirkwood Community College, book donations, Shelter House, and many other worthy community endeavors. They have partnered with UNESCO in one of our most rewarding programs, supporting and funding Little Free Libraries in the Iowa City community. 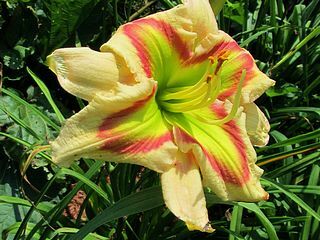 With the Sale now in the rear-view mirror, we can start looking ahead to the Club Plant Distribution & Auction in West Liberty on May 20th and the Garden Tour on July 8th. With respect to the Tour, lunch will take place in an air-conditioned room at the Coralville Public Library. There are two options for our garden visitors. For those that so desire, we are arranging with HyVee to provide box lunches that will consist of a sandwich of your choice, a cookie, and chips. The sandwich choices are ham & swiss cheese, turkey & cheddar, or vegetarian delight, all of which can be prepared on either white or wheat bread. 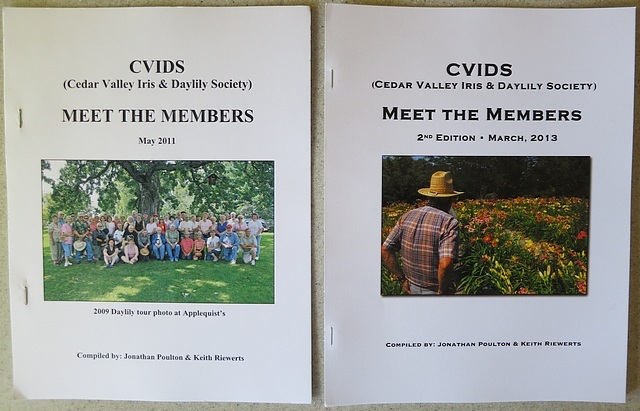 The cost for CVIDS members is $5 per person. The club will provide drinks. If you’d prefer to bring your own lunch, that would be the second option! 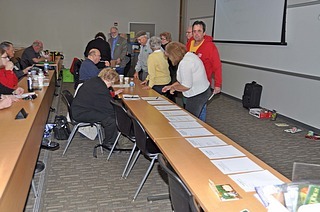 At last Saturday’s Sale, 21 members signed up for a HyVee lunch. The order list will be circulated at the May 20th meeting. If you’d like to order lunch but will not be attending that meeting, please contact Jonathan by phone or e-mail. 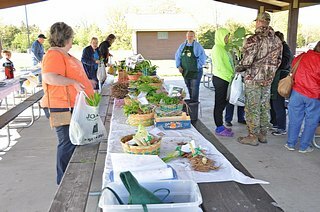 The club plant distribution will take place at Floral Hall, Muscatine County Fairgrounds, West Liberty. 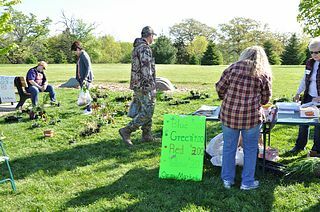 The distribution of earned plants will begin at 9:30 AM, but please come at 9:00 AM to socialize, enjoy the refreshments, and view the plants. 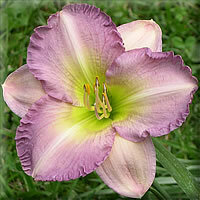 After the distribution concludes, there will be a live auction of remaining plants. Please note that <all> club members are eligible to bid in this auction. 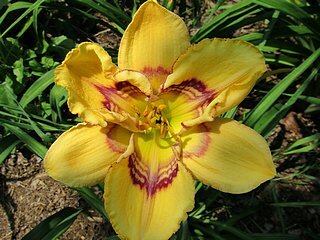 Click here to access a Powerpoint presentation of the cultivars of daylilies and iris that Zora Ronan has obtained on our behalf. Thank you, Zora, for all your hard work! 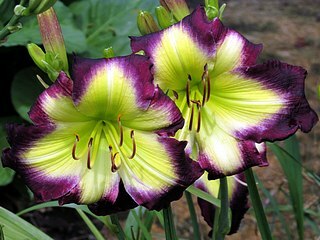 I have received an e-mail from a daylily enthusiast who is searching for Korth daylilies. Her wish list is as follows: Ancient of Days, Arrakis Sunset, Arrayed in White, August Bride, August Groom, August Wedding, Blown Away, Cantaloupe Stampede, Cast Your Crown, Celestial Army, Celestial Radiance, Cooler by the Lake, Forever Rosemary, Gertrude's Melody, Grace Alone, Grace Like Rain, Heaven's Morning, Heir to the Throne, Legendary Romance, Natalie Grace, New Covenant, Northern Splendor, Northern Treasure, Orange Overload, Parable of the Net, Pearl of Great Price, Pinewood Easter Morning, Pinewood Gold Ore, Purify My Heart, Reagan Kate, Rivendell Twilight, Rolling Stone, Ruby Shadows, Sawtooth Predator, Shining Like the Son, Shot Gun Wedding, Snow Day, Tears for Gus, Upon This Rock, Where's Waldo, Wonderfully Made, Yellow Raincoat, and Zoe Josephine Symons. If you have one or more of these and are willing to part with a fan or two, please contact Jonathan and he'll put you in contact with the enthusiast. Thank you so much! 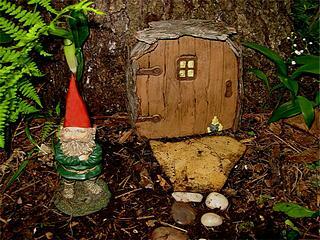 This is where Gerald and Steve live! Boy, do they have to travel a long way to our meetings! 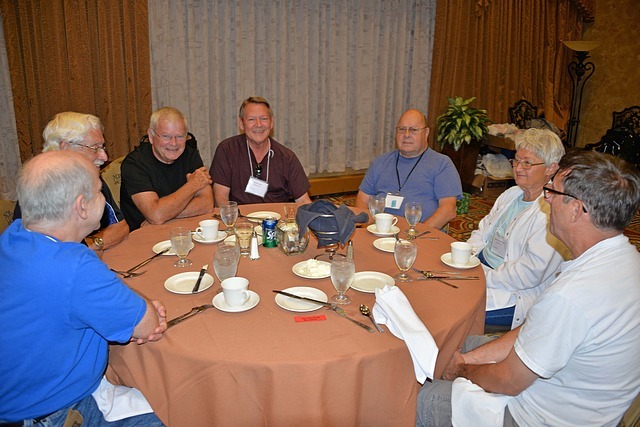 The 3rd edition of our "Meet the Members" photo gallery rolled off the printing presses in early January and was distributed to attendees at the Spring meetings. Other club members may pick up their copies of this 16-page document from Jonathan. Road Trip to Marr Park for our April Meeting! 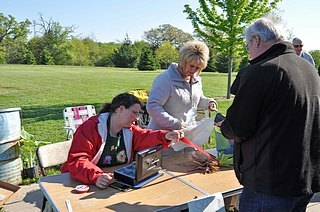 Our April club meeting took place on Saturday, April 8th, at the Washington County Conservation Education Center at Marr Park, 2943 Highway 92, Ainsworth. 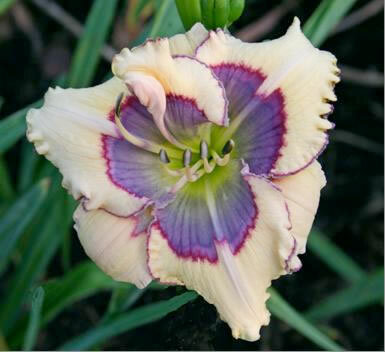 On that day, our speaker was daylily hybridizer Nan Ripley of Walkabout Gardens, Nevada, IA. 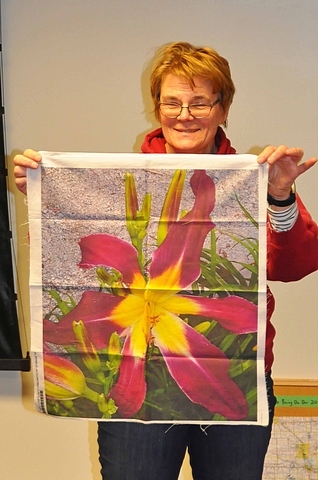 Her presentation titled “Genus Lilium and genus Hemerocallis” compared true lilies with daylilies, but she also took this opportunity to show us some of her latest daylily creations. Sounds like the meeting was a HUGE success. Thank you, Nan! Minutes for the Business Meeting and the 2020 Regional Task Force Meeting are now available. 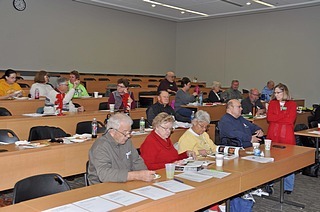 Our second meeting of the year took place on February 11th at the Horticulture Building, Kirkwood College, in Cedar Rapids with 41 members in attendance. Sadly, I can't give you a personal report, because Susie and I were at that very time flying back from the Dominican Republic. 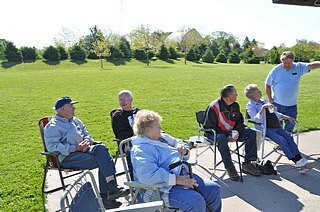 However, the following photos taken by Lyle make me think that we missed a fun and informative afternoon among friends. Here are the meeting minutes. 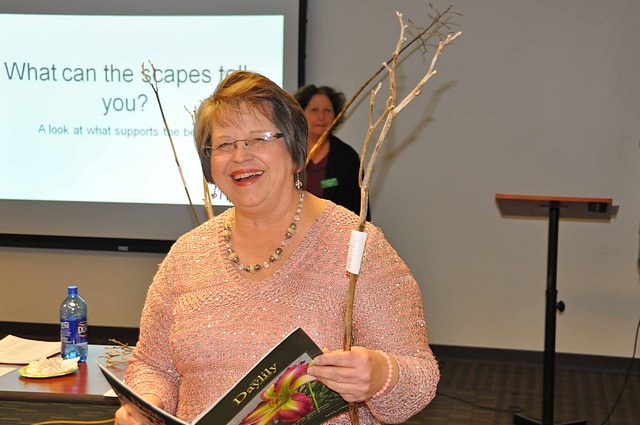 The meeting began with a social hour and potluck, after which club member Nancy Rash presented a talk on “Great Botanical Gardens and Their Resources”. In a summary, she wrote: "Botanical gardens are a delight to visit and offer a wealth of photographic opportunities for photographers. 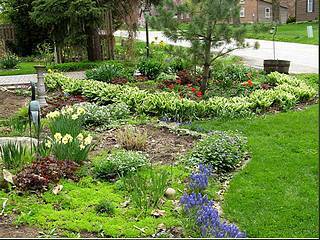 Gardens are an opportunity to stroll leisurely along the paths and observe the flowers and trees. Sometimes it’s a race to see what is next around the corner and take in all of the displays before closing time. 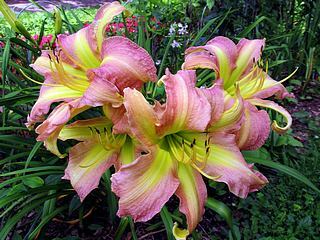 For me, it is an educational opportunity to see beautiful flowers and trees, observe trial gardens, learn new techniques or horticultural practices. Other services at the botanical garden might include tours, educational displays, art exhibits, libraries, musical performances or a lunch at a café. 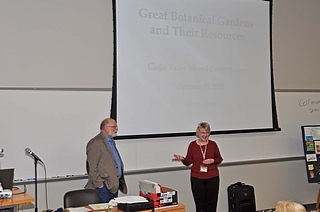 In the presentation "Great Botanical Gardens and Their Resources", I will show photos of some gardens that Lyle and I have visited. 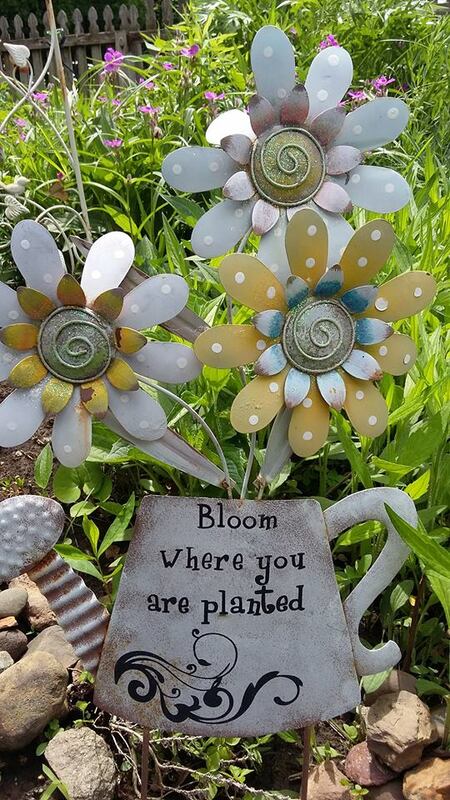 The online resources that will be shared can be used to prepare for a trip to the gardens or to research that great flower you saw in the flower bed, container or exhibit. 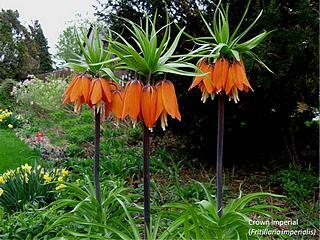 See how you might want to plan your trip around a special display or class that will be coming to the botanical center." 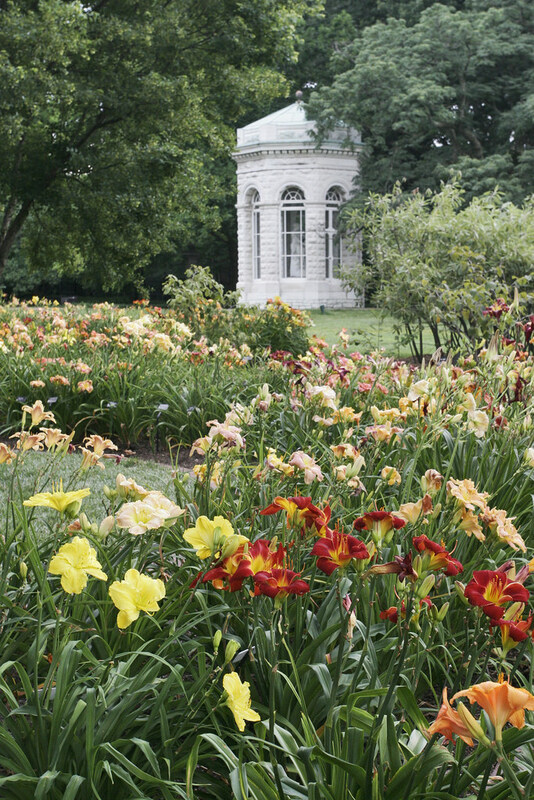 The photo below is from the Jenkins Daylily Garden, a sanctioned American Hemerocallis Society Display Garden, at the Missouri Botanical Gardens with over 2,000 specimens. Here are the February meeting photos kindly provided by Lyle. Thank you, Nancy and Lyle, for a super afternoon! 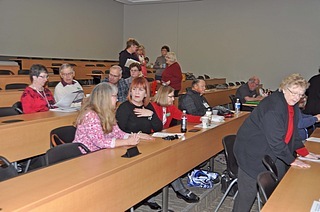 Our first club meeting in 2017 took place on Saturday, January 14th, at the Coralville Public Library. It was a super meeting. 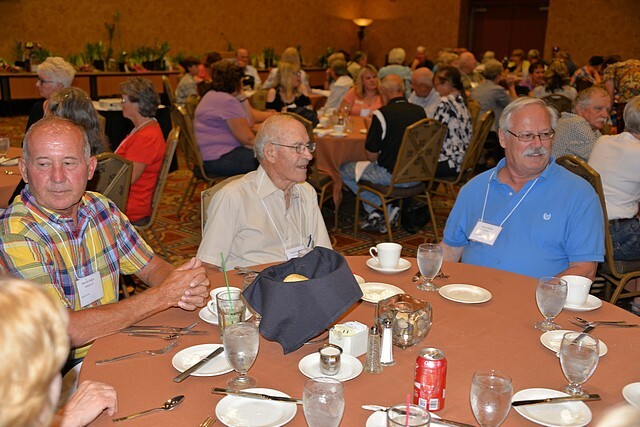 The forty-four members in attendance were treated to two presentations, a business meeting, several door prizes, and a delicious spread of refreshments. AHS Region One's newly elected President and longtime CVIDS member Zora Ronan gave us an overview of the 2016 AHS awards. 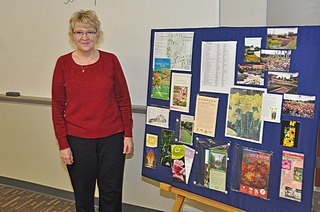 This was followed by a talk from Nancy Carlisle on information that can be gained from daylily scapes. 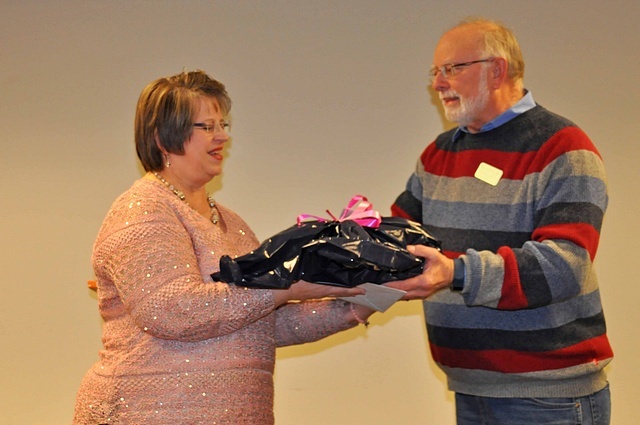 During the business meeting, our new club president Keith Riewerts thanked Nancy for all that she did for CVIDS while serving as president and, on behalf of the membership, presented her with a Thank You gift. Susie Poulton was elected as club treasurer. 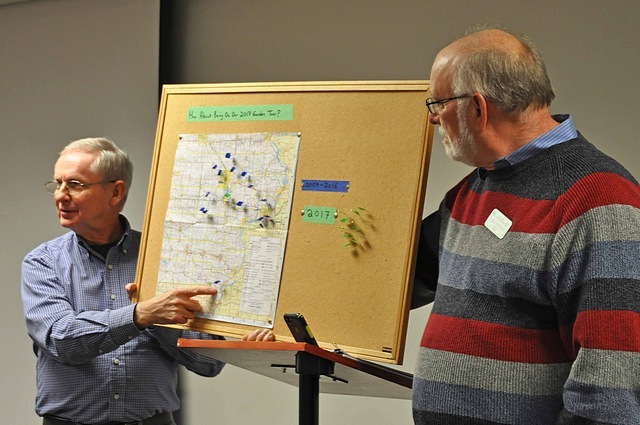 Thanks go to Lyle for the photos of this fun meeting. Thanks to Susie for the Board Meeting Minutes and the Business Meeting Minutes. It is with much sadness that I must relay the news that Sanders, the young grandson of Lynn and Sherry Moffit and the great-nephew of Robert and Suzanne Moffit, lost his courageous battle against leukemia and passed away on Monday, January 30th, at the University Hospitals & Clinics. He was 4 years old. Our thoughts and prayers are with the Moffit Family. Please click here to access Sanders' obituary. Services celebrating Sanders' life took place on Saturday, February 4th, at the American Legion in Lone Tree with a visitation on Friday evening at the same location. In lieu of flowers, a memorial fund has been established.